Located on the 1st Green of Devils Knob within minutes walk of tennis, Devils Knob Club house and Grill, Wintergarden Spa and ski shuttle this ideally located, well maintained 4BR, 3 Bath home is just waiting for you to enjoy! Perched on a very private lot with paved drive you will not only enjoy views of the green but also seasonal and night time views of the Shenandoah Valley from your spacious wraparound deck. Whether you are looking for a mountain getaway, permanent home or great rental property this home priced at $284,500 is perfect! Directions: Wintergreen Drive to right on Blue Ridge to left on left on Fawn Ridge to left on Deer Spring Lane, house on right at end of road. 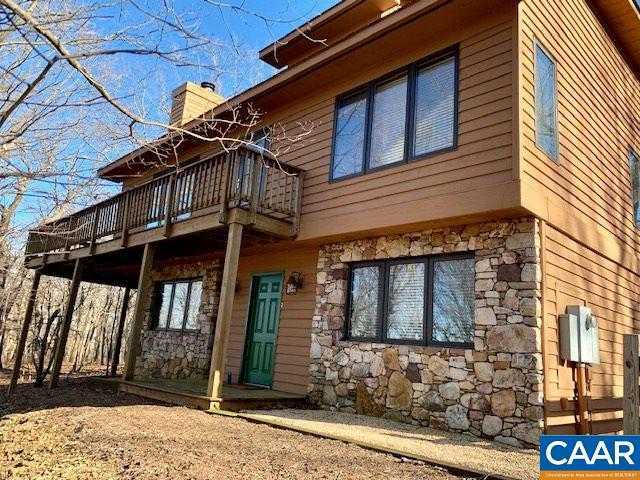 Please, send me more information on this property: MLS# 584949 – $284,500 – 458 Deer Springs Ln, Wintergreen Resort, VA 22967.